Aroquesa beef is largely unknown in our regions. Not surprisingly because of the limited amount of cows bred. 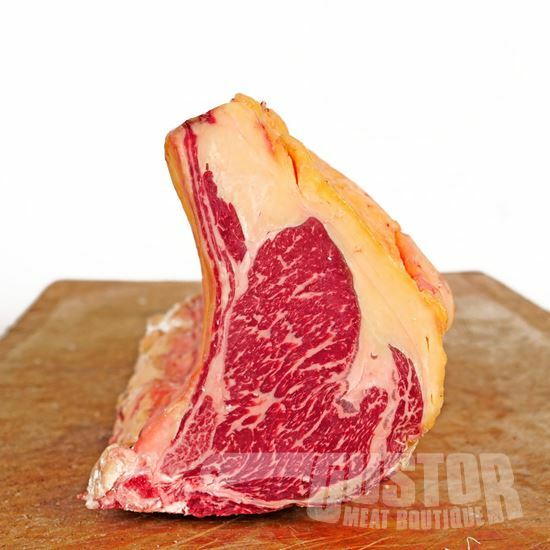 The meat is full of flavour along with a high degree of marbling. This beef is comparable with our Sashibeef and Rubia Gallega. It has also received a DOC (Denominação de Origem Controlada). 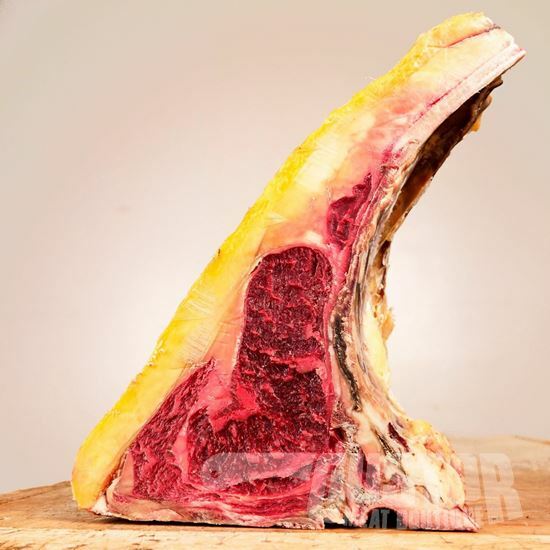 Aroquesa beef is native to the VISEU region located in central Portugal. The region is flanked by high mountain peaks en lots of small rivers criss-cross the landscape. 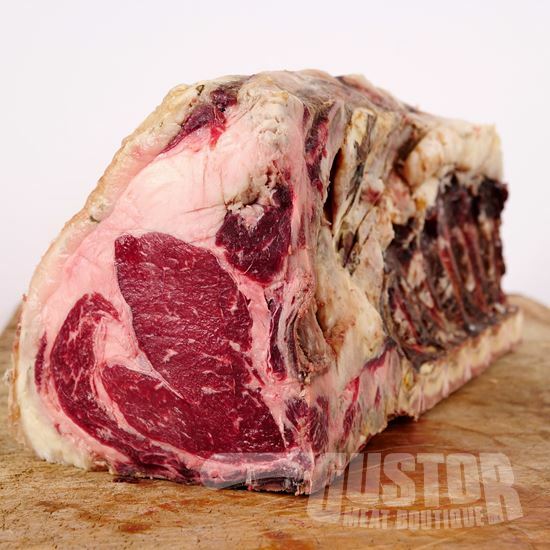 This meat is highly desired by the locals and by Michelin star rated restaurants and now made available for you by Gustor's butchers. 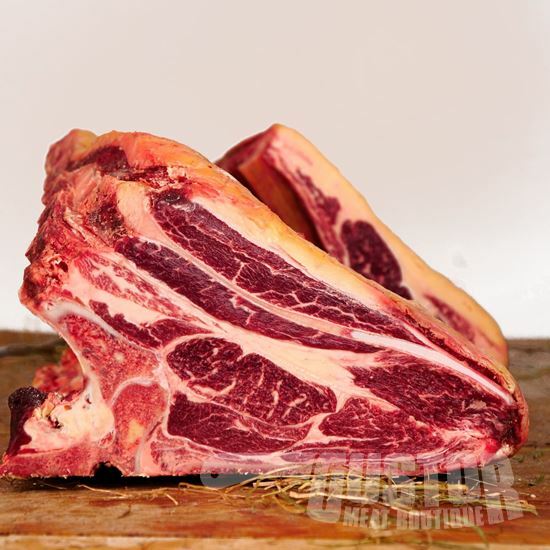 this meat is dry aged for about 60 days to guarantee tenderness and a very pronounced taste. Meat for the connaisseurs, but also highly recommended for the inexprienced customer out for a surprise. Bijzonder stuk vlees. Zeer zeer smaakvol, maar ook erg taai door veel vliezen in de vleesstructuur. 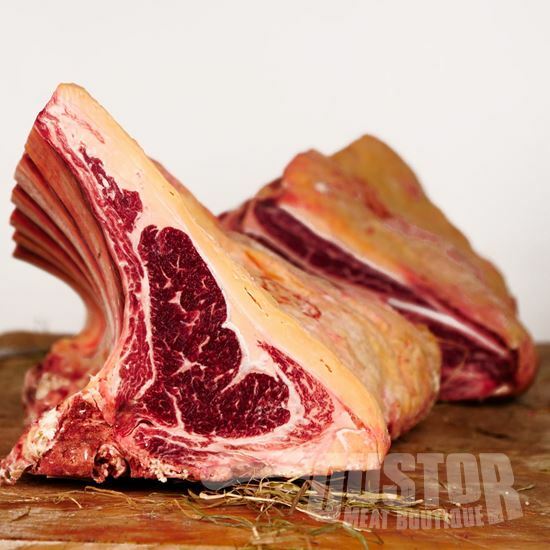 Qua smaak vergelijkbaar met de reserve du patron Rubia Gallega. Ik verkies die laatste gezien die qua smaak ook top top top is en niet taai. Zeer smakelijk vlees. Vol met smaak. Heerlijk.